Raise awareness of HIV/AIDS prevention, testing and treatment with the Southwest Indigenous Initiative, featuring local Native performers, organizations and speakers with refreshments served. 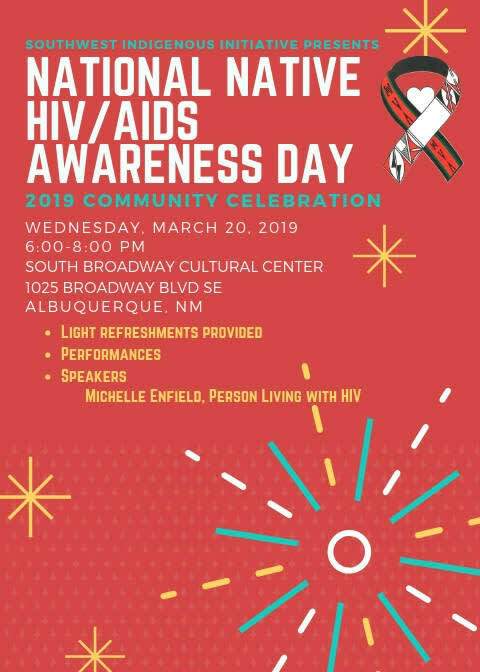 The National Native HIV/AIDS Awareness Day event is a public event for community members that aims to raise awareness of HIV/AIDS prevention, testing and treatment. Organized by the Southwest Indigenous Initiative, the program will feature local Native performers, organizations and speakers. Light refreshments provided.